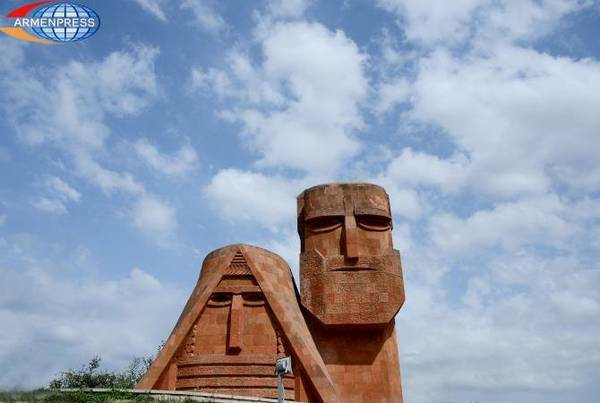 Artsakh must have decisive importance in determining its own fate, Prime Minister of Armenia Nikol Pashinyan said during the debate of the government’s Action Plan in the Parliament, reports Armenpress. “I think it’s also very important to introduce our visions on the Artsakh conflict settlement. In recent months various versions for the recent developments over the Artsakh issue are being voiced, different discussions are being held, and as stated in the government’s Action Plan, for us it’s very important that Artsakh has a decisive importance in determining its own fate. On May 9, the next day of my election as PM, I have announced in Stepanakert that I, as the Prime Minister of Armenia, can, am ready and must negotiate on behalf of Armenia, but I cannot negotiate on behalf of the Republic of Artsakh because I don’t have the status of Artsakh’s Prime Minister or President. I am the Prime Minister of the Republic of Armenia, not that of Artsakh, but I want to state that Armenia has been and remains the security guarantor of Artsakh”, Pashinyan said. He stated that Artsakh’s full inclusion in the negotiation process is one of the most important issues. “In fact, Artsakh’s participation in the negotiation process has been the most important points of our discussions during this period. And it is known from the past that the Azerbaijani side every time reacts to the proposals and topics to include Artsakh in the negotiation process in the following way that if the Armenian side includes Artsakh as a negotiating side, the Azerbaijani side will in its turn include the representatives of the so-called Azerbaijani community of Karabakh”, Nikol Pashinyan noted. Pashinyan stated that in fact this position needs serious clarifications. The main problem is that the so-called Azerbaijani community of Karabakh has always participated and today as well is participating in the whole negotiation process. He said there hasn’t been any negotiation talk in which the so-called Azerbaijani community of Karabakh has not participated.